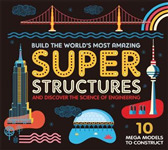 The titles in this series explore and explain how wonders of the ancient and modern worlds were built. The books describe the design stages and technologies used during construction and explain the design changes or problems builders faced along the way. Lift the load up high! Here comes the crane. 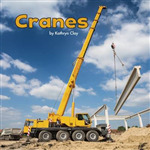 Engaging photographs and simple text describe this construction vehicle.